Universidad Politécnica de Madrid-UPM (from November 2007). Universidad Complutense de Madrid-UCM (from November 2007). Universidad Rey Juan Carlos-URJC (from January 2008). Roskilde University, Denmark (from June 2008). Consejo Superior de Investigaciones Científicas-CSIC (from October 2008). Swiss Federal Institute of Technology Zurich-ETH (from November 2012). Technical University of Cluj-Napoca (from February 2019). These agreements establish a framework for the development of collaborations and include topics such as the joint use of resources, equipment and infrastructure, hiring of staff, joint participation in research projects, joint development of technology, joint development of graduate programs, or the association of researchers and research groups with the Institute. In particular, research assistants at the IMDEA Software Institute can follow graduate studies at any of the cooperating Institutions, while funded by IMDEA Software. To illustrate the scope and importance for the Institute of these agreements, we offer here some highlights. The agreement with the Universidad Politécnica de Madrid includes provisions for the location of the Institute building in its Montegancedo Science and Technology Park as well as a joint graduate program, instrumented currently as a separate track on Software Development through Rigorous Methods in an existing Masters / PhD program at UPM ("MUSS / DSS"). Under the agreement with the Consejo Superior de Investigaciones Científicas, two of its researchers, César Sánchez and Pedro López, are also part of the research staff of the Institute. Under the agreement with Roskilde University, one of its full professors, John Gallagher, is also part-time senior researcher at the Institute. Finally, the agreement with ETH covers the joint development of technology (concretely, ActionGUI) by teams from both institutions. The Institute also has already a strong presence in national and international bodies. 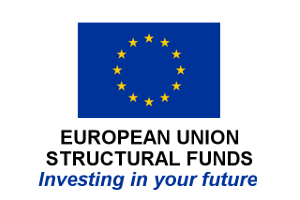 In particular, it is a member of Informatics Europe, the organization of all deans, chairs, and directors of the leading Departments and Institutes of Computer Science in Europe, similar to the CRA in the US. In addition, the Institute is member of ERCIM, the European Research Consortium for Informatics and Mathematics through SpaRCIM, the Spanish representative in ERCIM, where Manuel Hermenegildo, IMDEA Software Institute Director, is also the President of the Executive Board.